Bill Skarsgard is becoming a Stephen King regular. 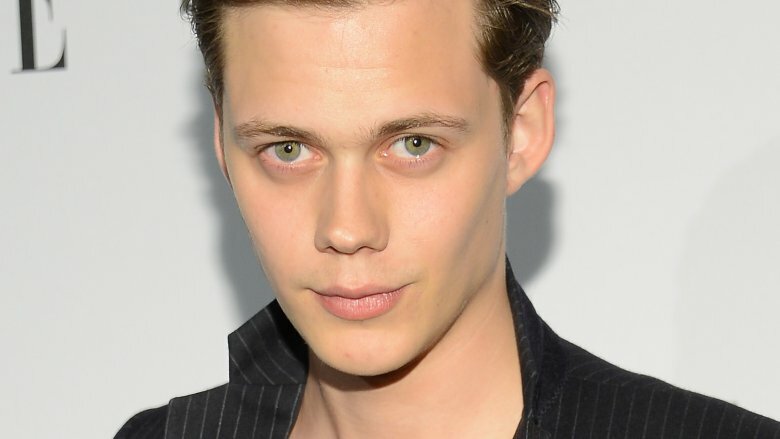 The Swedish actor who stars as Pennywise in the upcoming movie based on King's novel It has signed on as a series regular in Hulu's series Castle Rock, according to Variety. He'll reportedly play a young man with an "unusual" legal problem. Castle Rock is described as a psychological horror set in the universe of King's novels and stories. Set in the fictional town of Castle Rock, Maine, which has served as the setting for books like Cujo and The Dead Zone, it will weave together different storylines that are loosely based on King's work. Executive produced by J.J. Abrams, the first season will feature 10 episodes. The series also stars Melanie Lynskey (Togetherness), Sissy Spacek (Carrie), Andre Holland (Moonlight), and Jane Levy (Suburgatory). Skarsgard is a rapidly ascending the ranks of Hollywood. Known for the Divergent franchise and the Netflix series Hemlock Grove, he'll star as the horrifying clown Pennywise in It, which hits theaters this September. Production on Castle Rock begins later this year and is expected to debut sometime in 2018. In the meantime, check out TV shows that will blow everyone away this year.